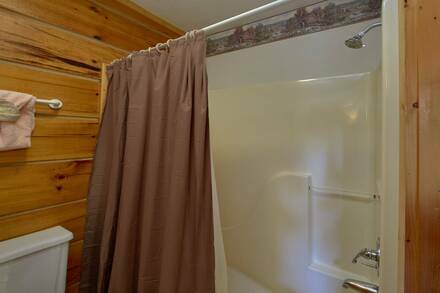 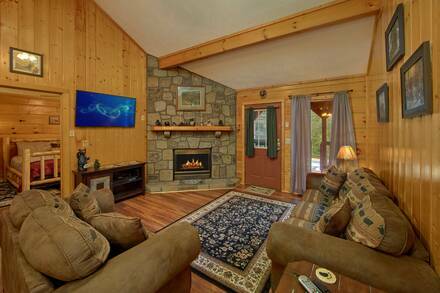 Bear's Creek is a beautiful log cabin, with the sights and sounds of a sparkling mountain stream running just to the side of the cabin. 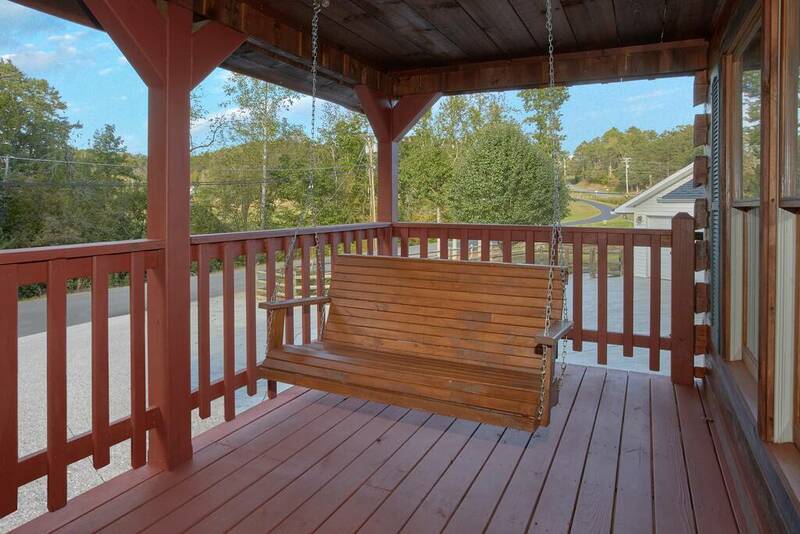 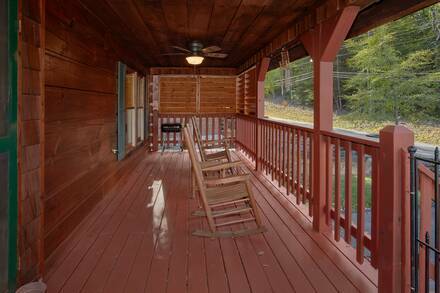 The front deck complete with deck furniture and a porch swing is perfect for enjoying the beautiful Mountain nights. 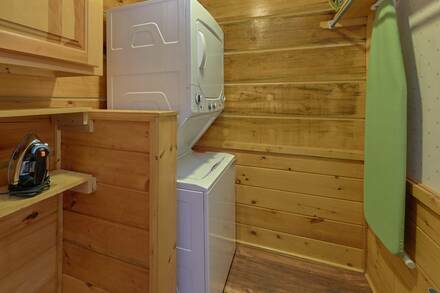 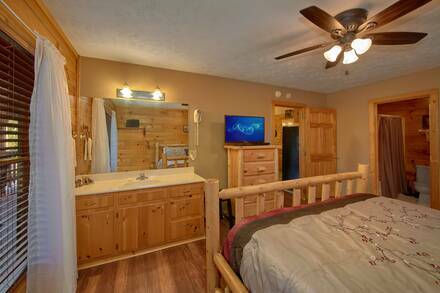 Inside you will find a fully equipped kitchen and a master King bedroom with an in room Jacuzzi and a DVD combo television. 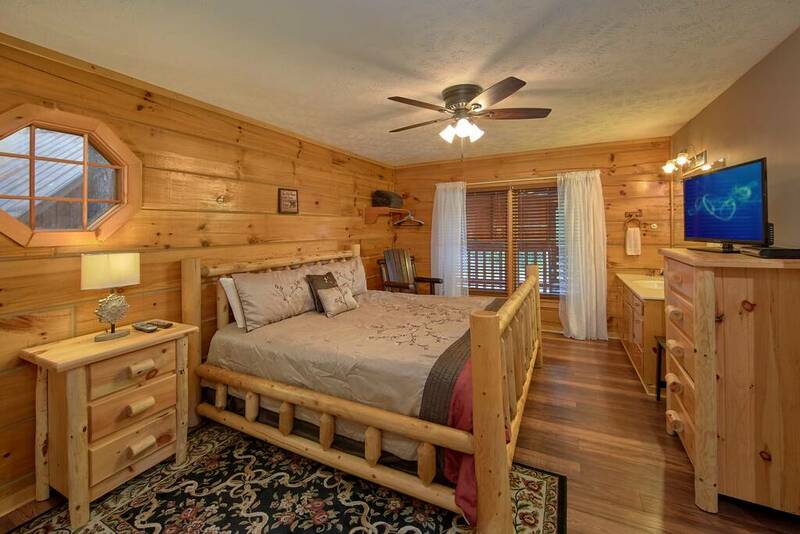 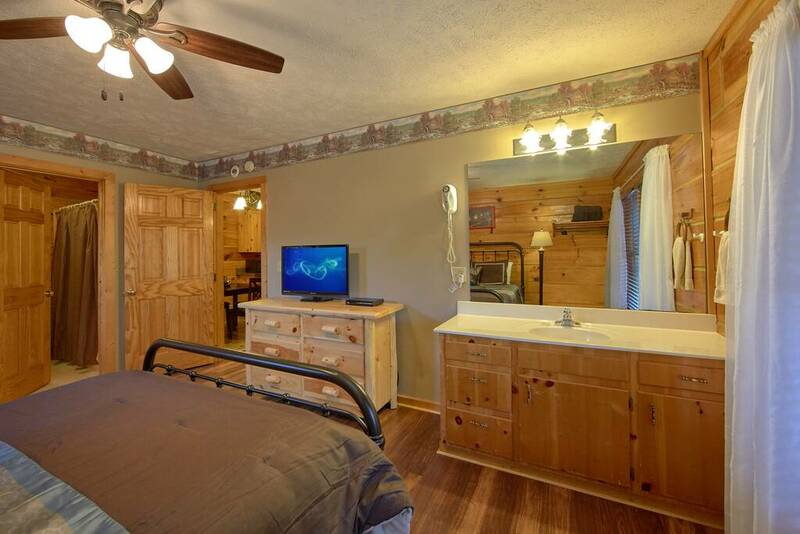 The second bedroom has a Queen Bed and full bath. 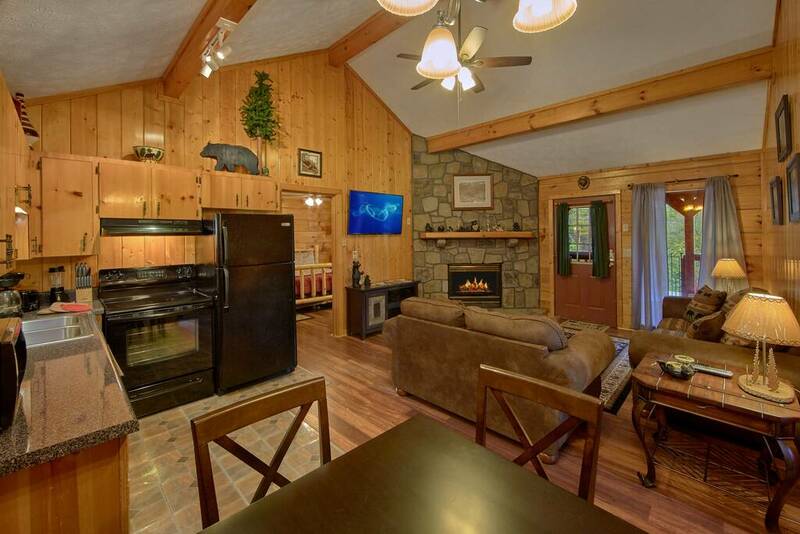 The cozy living room is inviting with a stone fireplace and flat screen television with cable. 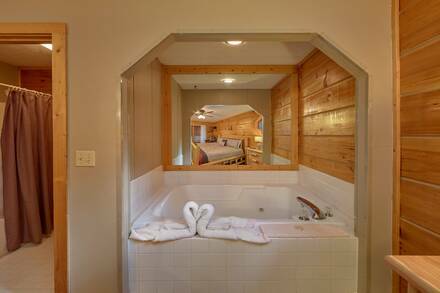 This cabin is perfect for a honeymoon or couple's getaway. 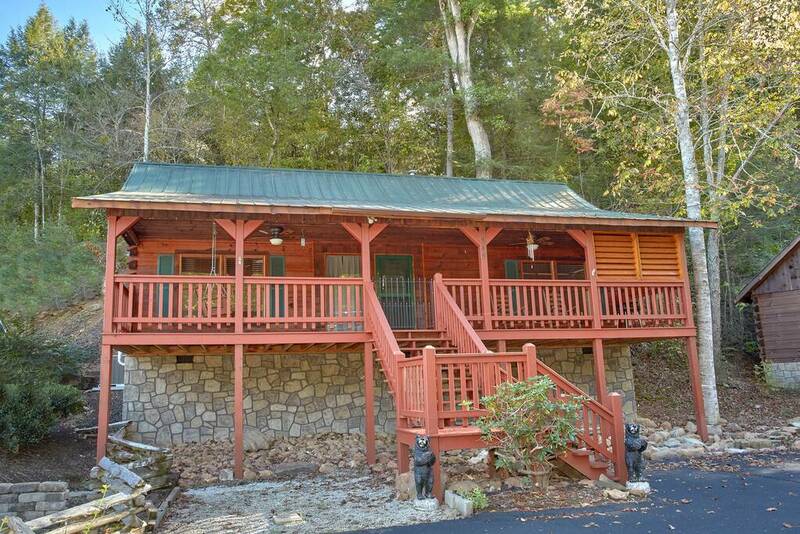 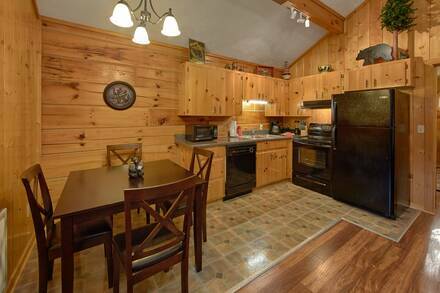 Bear's Creek is located just 2.5 miles from the parkway in Pigeon Forge, only minutes away from Dollywood, Dolly Parton's Stampede, Wonderworks and a host of Theaters and Restaurants. 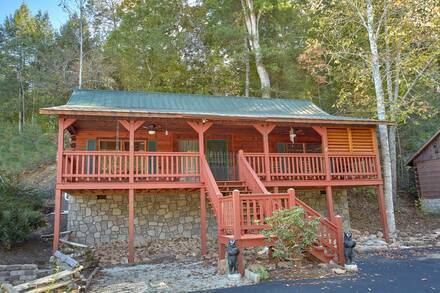 It is just a short drive to Gatlinburg and The Great Smoky Mountains. While staying at Bear's Creek you have access to our Resort Pool that is just a short drive. 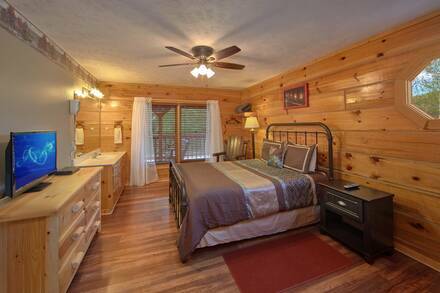 Don't pass up your chance to stay and play in Bear's Creek.